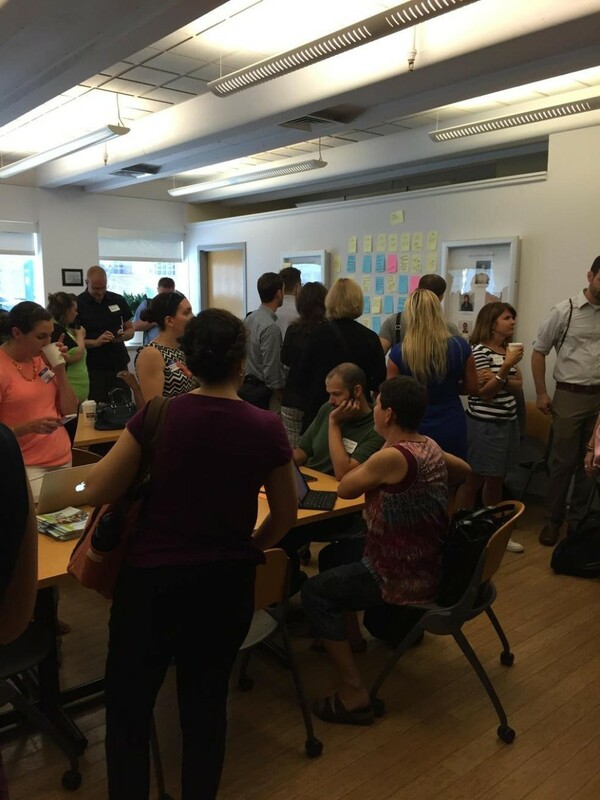 Reflections from #EdcampLdr Philadelphia 2015. 1. @Voxer is a great resource to continue discussions with colleagues and other connected educators! Some leaders are using the app in innovative ways, like providing feedback to teachers after classroom walkthroughs, as well as connecting with parents. It is now a little more than 10 hours since I learned about the power of @Voxer, and I’ve connected with several groups to help me continue learning. Utilizing technology to expand our circle of influence always makes sense. @Voxer helps to promote the idea that the smartest person in the room IS the room. 2. After attending a session on Positive Behavioral Supports for students, and participating in a discussion about reaching teachers who are not fully engaged, I realized that even adults can benefit from recognition and acknowledgement. During the PBS session, several educators mentioned that recognition is often the most important part of a good positive behavioral support program. One of my main takeaways was that we can utilize simple gestures to recognize teachers, hopefully creating further engagement in the learning process. Jason Kotch (@JMKotchEdD), an Elementary Principal, starts off each of his faculty meetings by recognizing the contributions of teachers. The award is developed and fostered by teachers each month. This type of recognition among colleagues can be an important step for teacher engagement and buy-in to a common vision for success in a school. 3. Educators remain committed to discovering the best ways to improve professional learning and professional development opportunities in schools. Several sessions today focused on Professional Development, in addition to all of the resources, questions, and comments shared via the #EdcampLdr hashtag from across the country and world. I helped to facilitate a session on reimagining PD in school districts, and all of the educators in our room shared a variety of ways that school leaders are trying to engage teachers in professional learning that is relevant and meaningful. Our session featured discussion of several models, including Tech-Mex Tuesdays (https://fouroclockfaculty.com/2015/06/changing-the-pd-model-in-your-district/), TedTalks for Reflection/Discussion, and FedEx Day for PD (http://life-long-learners.com/dan-pink-recommends-a-fedex-day-for-students-and-teachers/). Educators will continue to innovate professional learning, especially when the sessions provided by their own districts are not relevant or meaningful. Providing a variety of opportunities which are different from the norm can help to engage educators in your district. 4. The structure of an #edcamp is ultimately what fosters the communication, reflection, and sharing which takes place at each event. Today was the third edcamp that I’ve attended, and I continue to be impressed by the sharing that takes place between educators who did not previously know each other. The informal atmosphere allows everyone to be comfortable in discussing and thinking through problems. Some of the best opportunities to learn are during unscheduled times during the day, like the reflection that takes place during lunch, or the conversations that happen when educators are passing in the hall. During the last session of the day, I joined a group of educators to discuss ParentCamp, but we realized that no one had volunteered to facilitate the session. Instead of leaving and joining another session, we stayed and ended up having an important discussion about changing school culture, and impacting teachers who might not be fully invested in the learning process. It was a fantastic end to an awesome day of learning! I would like to thank Joe Mazza (@Joe_Mazza) and Hadley Ferguson (@hadleyjf) for organizing and leading the day. Your expertise and passion helped to make the day a wonderful experience for all involved. Your enthusiasm is contagious! I am already looking forward to next year’s event!